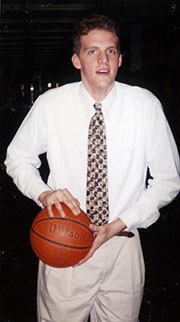 The Ryan Gebbia Award was established in 1995 to honor a senior basketball player who has unselfishly demonstrated the qualities ofperseverance, commitment, and determination. The award is presented each year at the basketball program's banquet. Ryan was seriously injured in an automobile accident in the fall of 1992. He is well-known in the Middletown community for his positive attitude and his courageous spirit. 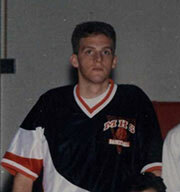 An excellent player for the Knights before his car accident, Ryan graduated from Middletown High in 1995.